So Wong | Blog: Back to bed, people. I've been working on my posters, based around Dave's Leicester Comedy Festival where our course is holding an exhibition named, 'Life is Tweet' based around.. comic tweets! 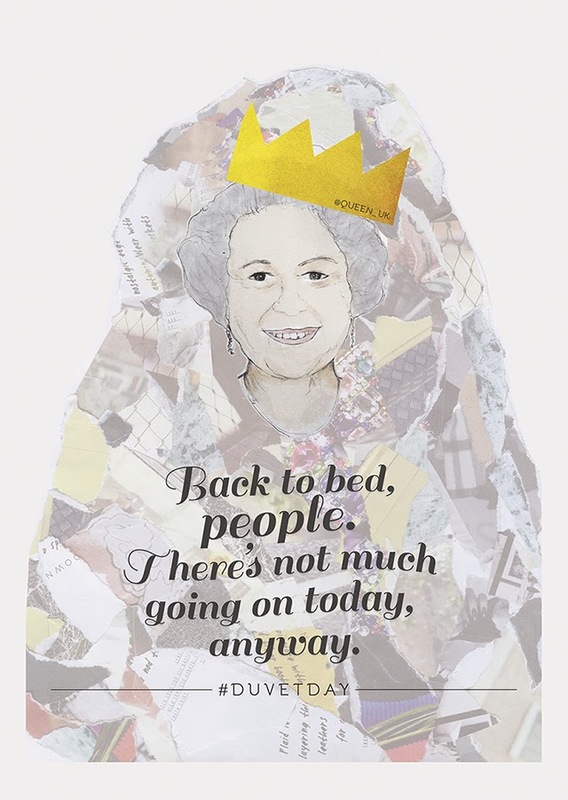 This is my quote poster based around tweets from parody account, @queen_uk. I still have my summative assessment to go, so I may make adjustments. Have a cuppa, read a magazine.